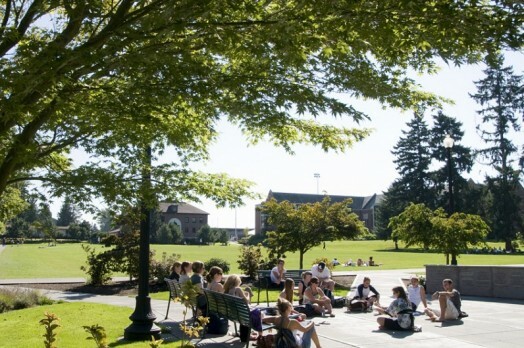 In 2001 the University of Puget Sound created a permanent outdoor area on campus to recognize individual donors whose lifetime giving since 1960 met or exceeded an initial qualifying level of $100,000. The site consists of a concrete seating arrangement with names of donors permanently carved in the structure. Benefactor Plaza gives prominent recognition to those major benefactors who have helped sustain and build the institution.